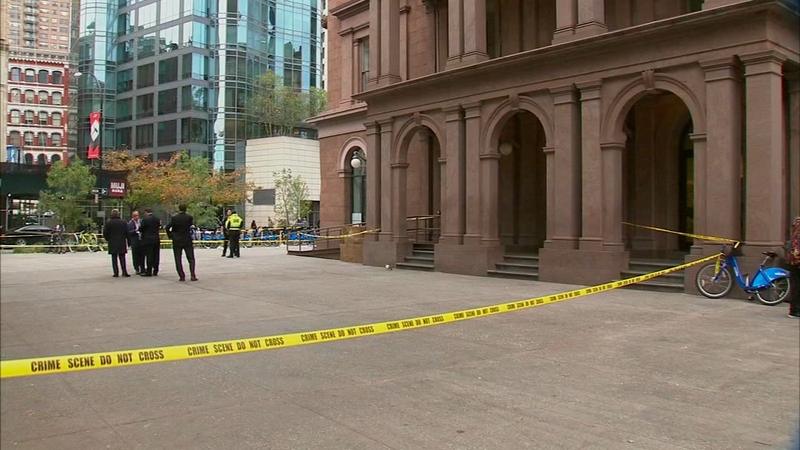 EAST VILLAGE, Manhattan (WABC) -- Police are investigating a double shooting that is believed to be a murder suicide attempt in front of 62 Cooper Square in the East Village Wednesday morning. The incident happened at 7:55 a.m., when authorities say a 62-year-old man walked up to his 56-year-old girlfriend and shot her in the chest. He then shot himself in the head, according to officials. Both were rushed to Bellevue Hospital, where the woman was pronounced dead. The man remains in critical condition. Cooper Union released a statement saying they don't believe the shooting involved any members of the Cooper Union community.